The frontier of the American West has been preserved, in small part, in our national parks. 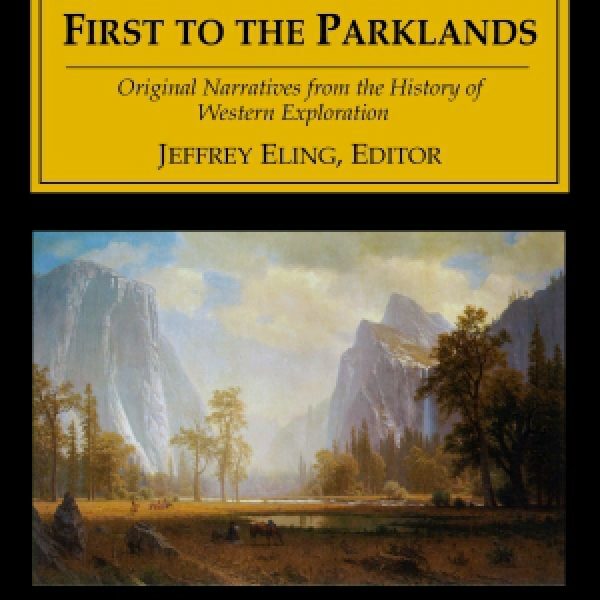 This book is a collection of 19th century journals, diaries, articles, memoirs, reports (and contemporary illustrations and maps) of those American who were among the first to explore the wonders that became our parklands. We entered the narrow passage; on either side the walls rapidly increased in altitude; on the left were overhanging ledges and cliffs five hundred, a thousand, fifteen hundred feet high; on the right the rocks were broken and ragged; the water filled the channel from cliff to cliff. Soon our boats reached the swift current; a stroke or two, now on this side, now on that, and we threaded the narrow passage with exhilarating velocity, mounting the high waves whose foaming crests dashed over us, and plunging into the troughs until we reached the quiet water below. 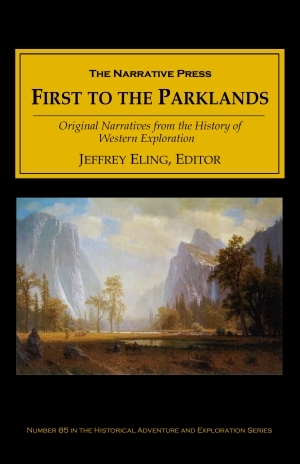 There are 50 first-person accounts in all, from the likes of Meriwether Lewis, Zebulon Pike, Washington Irving, Osborne Russell, John C. Fremont, George Ruxton, and many others. Each account has an historical introduction that sets the time and place. These explorers describe the wonders that became the parks at the Black Hills, the Grand Tetons, Flaming Gorge, Yellowstone, Chimney Rock, Yosemite, Scotts Bluff, the Wind River Range, the Guadalupe Mountains, the Redwoods, Big Bend, Glacier, Petrified Forest, Organ Pipe, Mount Rainier, the Grand Canyon, Canyonlands, the Cascades, Kings Canyon, Shoshone Falls, Bryce, Zion, Jackson’s Hole, and many others. The American frontier was not just the geographical places, of course. It was the experience of the first explorers and settlers, their awe, their fear, their sense of opportunity, and that is what is captured here. These narratives are as much a part of our frontier heritage as the parks themselves.